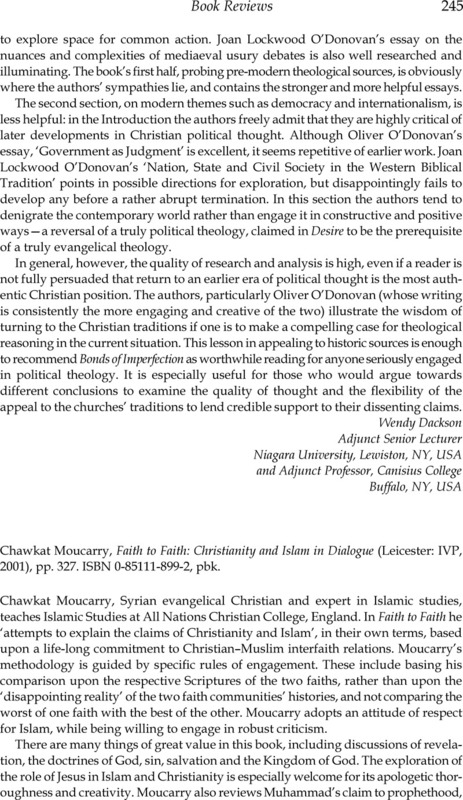 Chawkat Moucarry, Faith to Faith: Christianity and Islam in Dialogue (Leicester: IVP, 2001), pp. 327. ISBN 0-85111-899-2, pbk.